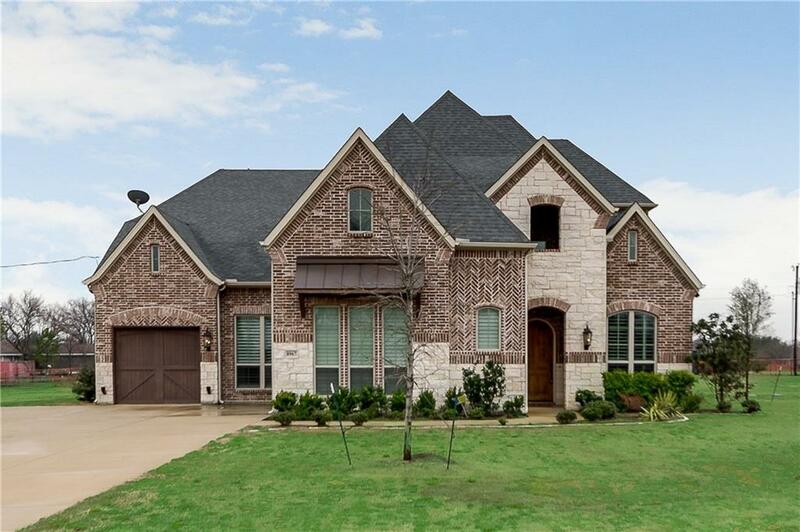 1.5 acre dream home in Prosper! No detail spared with this one of a kind custom build. 5 bedrooms, 3 full bathrooms, and 3 half bathrooms. 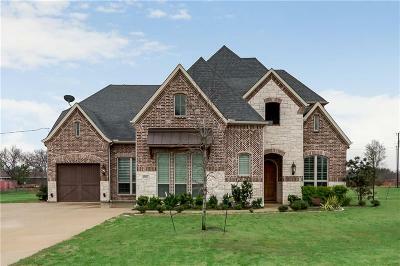 Gorgeous hand-scraped hardwood floors, custom exposed ceiling beams in living area, energy efficient, it's all here. Kitchen features large island with seating, sub-zero built in refrigerator, and oversized sink. Private master with custom wood plank ceiling and oversized walk in closet. Do not miss: game room with wet bar upstairs, 3 car garage, extended back patio with cozy fireplace and custom couch swing. Come see it today!